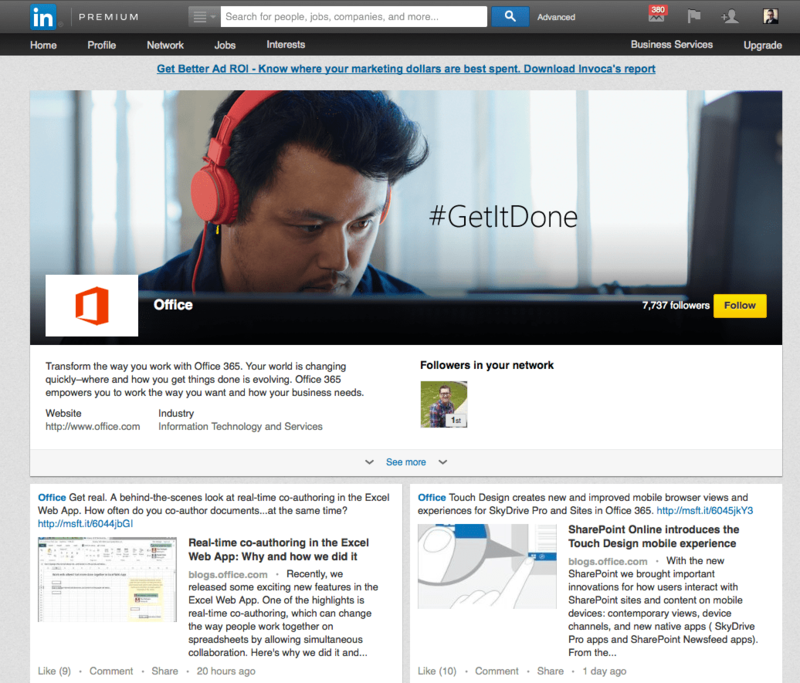 Linkedin has proven to be an incredible asset for B2B Social Media Strategy & execution. With Hubspot defining Linkedin (45%) as the most effective B2B source for lead generation followed by Facebook at 33%. 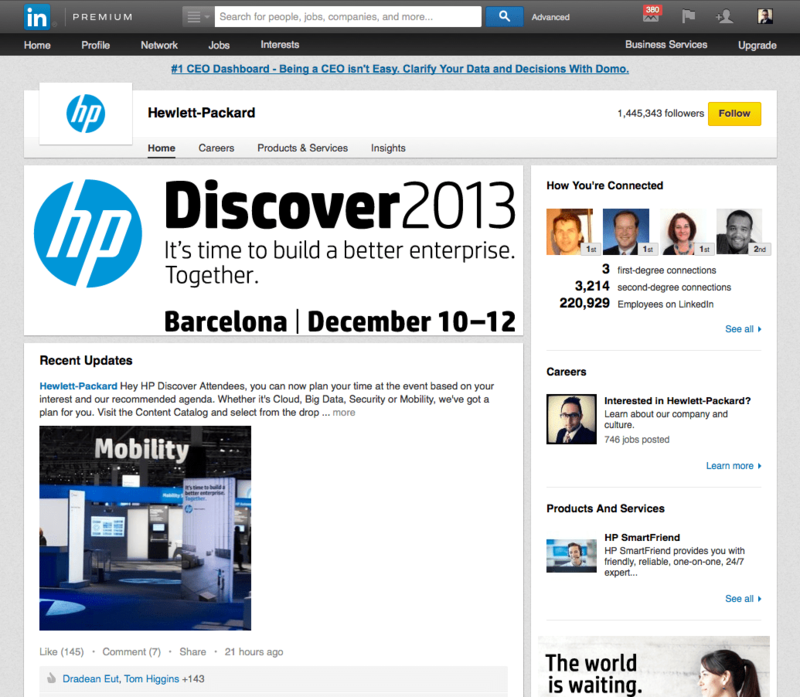 Linkedin continues to focus on creating relevance for company pages. The latest roll-out called “showcase pages” allows businesses to highlight specific brands or products by creating product centric content hubs that allow users to further align with relevant content. 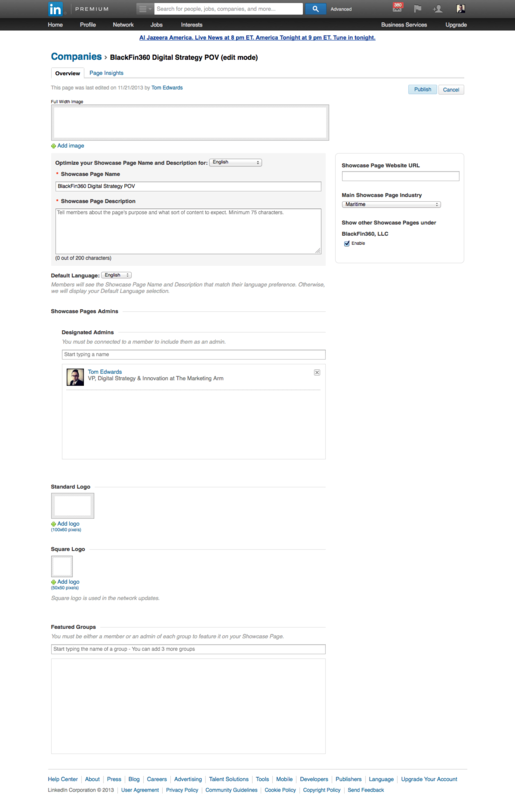 Each showcase page is setup to exist independently from the company page while still showing (below the fold) a connection to the parent page as well other showcase pages. 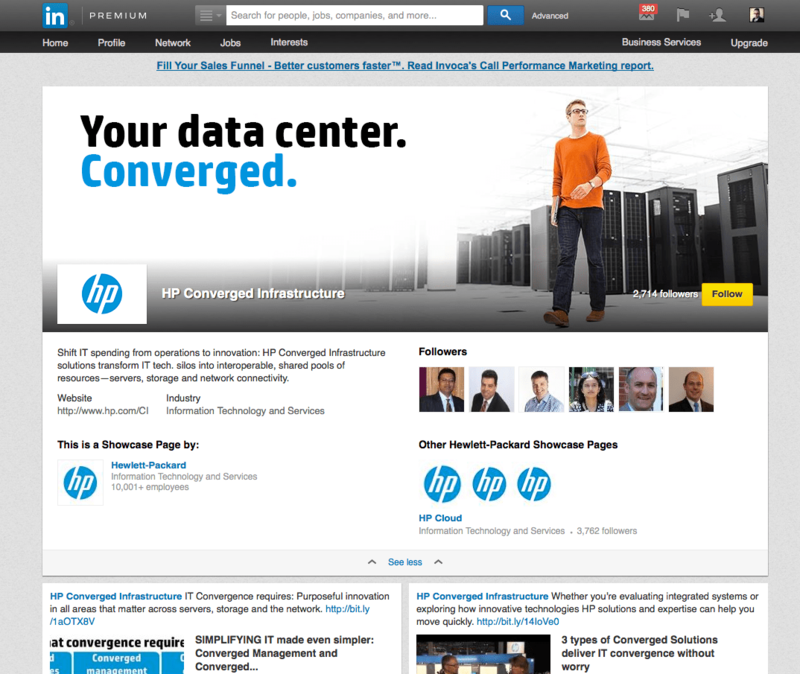 Here is an example from HP focusing on their Converged Infrastructure offering with the company & additional showcase pages expanded. Users can follow specific showcase pages and connect directly with the content they are most interested in. This natural segmentation can create more targeted opportunities for brands to connect with audiences who are interested in specific product lines. 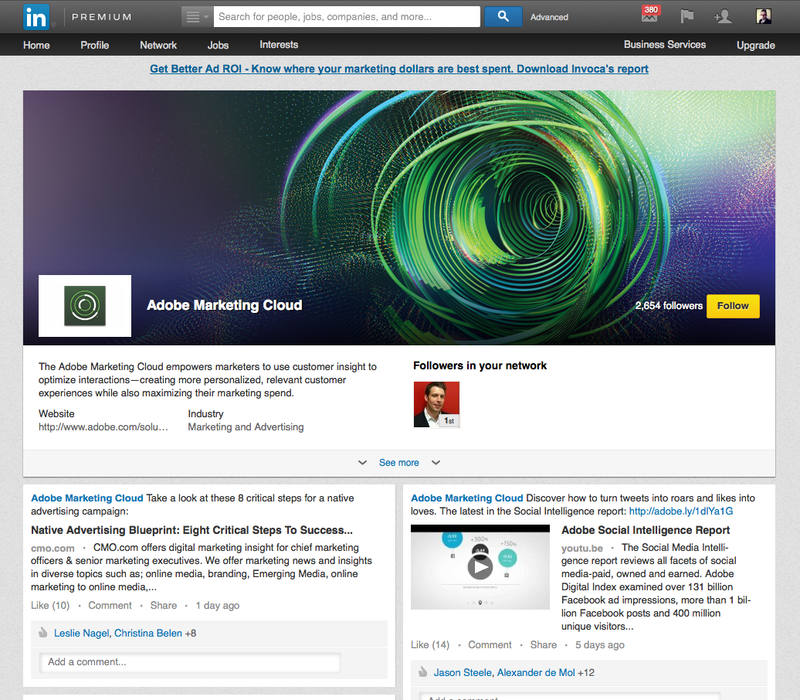 Here is an example from Adobe Marketing Cloud. Brands can easily create up to 10 showcase pages that also includes access to page insights & analytics. This combined with the 3 million existing company pages can exponentially increase the amount of content in the platform. The organization has the ability to define the showcase page URL, define the industry and connect up to 3 existing Linkedin groups. Here is a screenshot of the creation screen for the showcase creation. Here is an example of a MIcrosoft showcase page. Linkedin Company pages have worked well from a search discovery perspective and showcase pages provide an additional option to create new points of discovery for products & services. Here is an example that shows the Microsoft Office example was indexed almost immediately upon launch. At the time of this writing the page was posted 20 hours before. 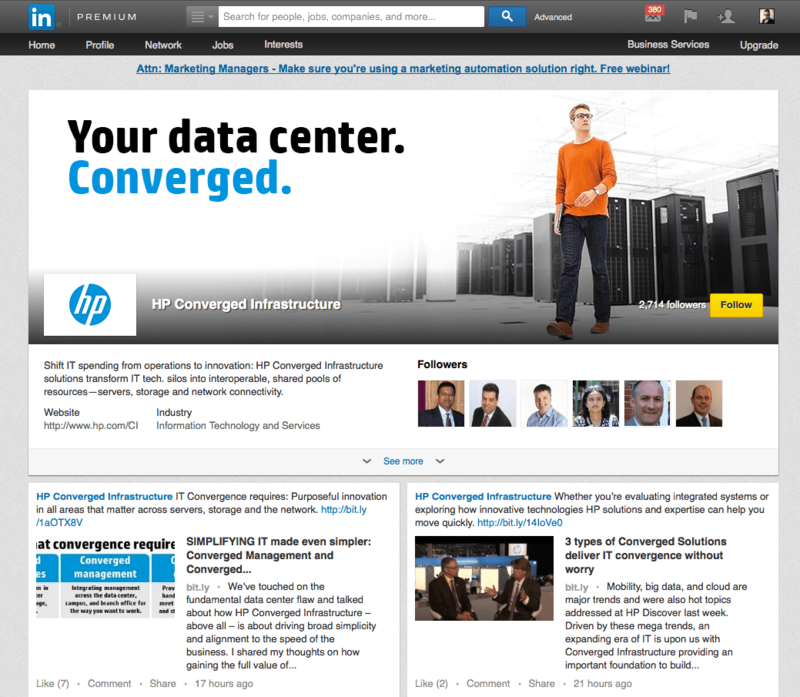 This latest addition will allow Linkedin to align paid advertising with in network content hubs to create engaging & targeted experiences within the platform vs. driving off-site. The more content that is created and housed within Linkedin means higher amounts of eyeballs which essentially means more potential advertising revenue for Linkedin. This new showcase option will need to be carefully considered though when deploying. As determining which products have enough content to support the audience in addition to further segmenting the brands following into subgroups and aligning master brand content against product specific content will need to be considered prior to rolling out showcase pages. The benefits though of having subsets or micro-content hubs is that the audience that engages is truly interested in the product and is actively searching for information. This also allows more flexibility in terms of search discovery as well as one of the issues with other platforms such as Facebook is that you are limited in terms of new points of discovery via organic search.